Was ist der SimLab Composer ? Um mehr über die verschiedenen Möglichkeiten und Benutzung von SimLab Composer zu erfahren klicken Sie hier. SimLab Composer provides users with all the needed tools to build 3D senses from existing models. In addition to the draggers found in modern 3D applications to place models in the scene, SimLab Composer offers unique tools like snap to object and snap to ground to make building 3D scenes intuitive and fast. 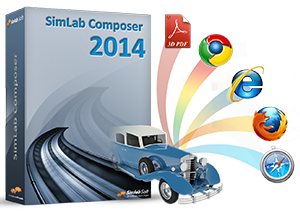 SimLab Composer maintains the assembly structure of imported 3D models. This enables users to select the level to work on (face, body, part, subassembly or assembly). For models with no texture coordinates, SimLab Composer gives its users the needed tools to generate texture coordinates. 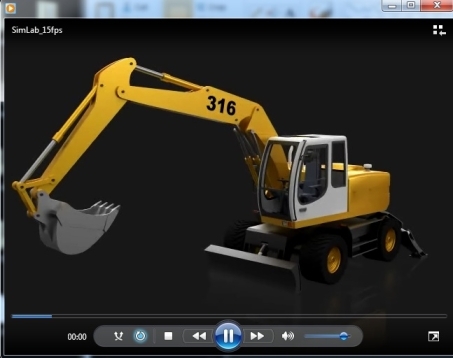 3D PDF: 3D scenes created in SimLab Composer, can be exported as 3D PDF files. A 3D PDF file is a PDF file (that can be opened using a free version of Acrobat reader), which includes 3D Data. The recipient of the file will be able to view, rotate, and interact with the 3D scene. 3D PDF was designed to be very easy to use for none technical users. Exporting to Android/iPad: 3D scenes created in SimLab Composer, can be exported to Android/iPad as SimLab archive files (*.zim). SimLab Archive files can be opened using SimLab CAD Viewer on iPad, and Android. 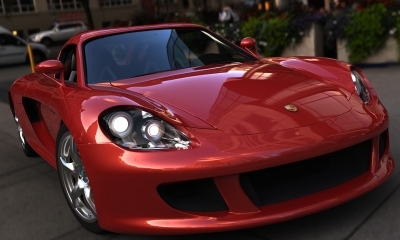 SimLab Composer Rendering edition includes a licensed version of Luxion renderer, a high quality, accurate and extremely fast global illumination renderer, which enables users to create high quality photorealistic images quickly. 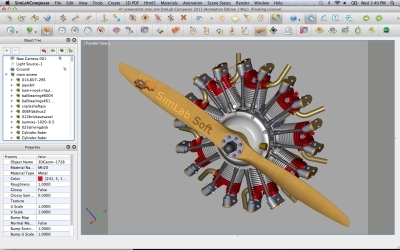 Assigning materials can be done by dragging materials from the material library supplied with SimLab Composer and dropping them on the 3D objects. SimLab Composer animation edition allows users to easily create animations showing the motion of a designed machine, or a walkthrough of a house. Animations created in SimLab Composer Animation Edition can be rendered and used to create movies that can be posted on the web and shared with others. Außerdem sind SimLab Composer Benutzer in vielen verschiedenen Industriebereichen zu finden.